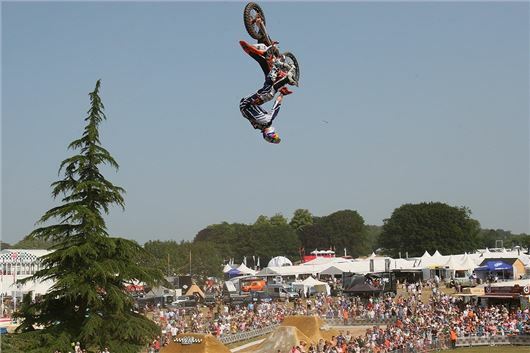 Goodwood Action Sports, or GAS, is to return to the Goodwood Festival of Speed in 2014 with a line-up of some of the best riders from Motocross, BMX and mountain biking. They’ll be performing their death-defying riding skills and offering tips for budding stars in the GAS experience zone. Other stars showing off their skills on a jump-filled course include Kye Forte, a Brit and former world BMX champion, plus legendary trials rider Dougie Lampkin.